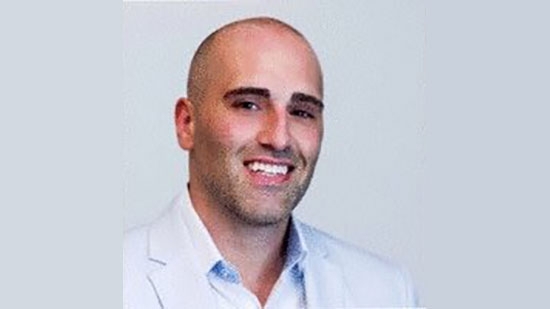 A Philadelphia real estate developer was stabbed and killed in front of a crowd following an argument with a bike courier near Rittenhouse Square late Thursday night, 7/12. It happened just before 11 p.m. at 17th and Chancellor Streets. The victim has been identified as 37-year-old Sean Schellenger of Point Breeze, owner of Streamline Solutions. Philadelphia Police Captain John Ryan said that Schellenger had been a passenger in a car with two other people. Another car was blocking the road and he got out of his vehicle to help move traffic along when the man on the bike came along. An argument ensued. The man on the bike pulled out a large knife from his backpack and stabbed Schellenger at least once in the back. The attacker left his bike and bag and fled. Schellenger was taken to Jefferson University Hospital where he died at 11:21 p.m. The suspect is described as a black man, light complexion, 6', medium build, wearing a white shirt and black shirt. His food delivery bag was from Postmates, a delivery service. Police have been working with witnesses and looking for area surveillance cameras to help identify the suspect. Philadelphia Police are looking to identify two adults from a video that shows a woman kicking a child on a playground. Police believe the incident happened on July 9th near Frankford and Cottman Avenues in Mayfair. The video shows a young boy kicking at a young girl. An adult male tries to separate the children and tells the boy, 'No kicking!' The adult female continues the discipline. She kicks the young boy twice in the rear and says, 'No kicking! You want to kick? How do you feel?' The video ends shortly after. Anyone with information is asked to call 215-686-TIPS (8477) or text a tip to PPD TIP or 773847. Philadelphia Police are looking for a man who broke into a 71-year-old woman's home in East Oak Lane and sexually assaulted her. It happened at 4:20 a.m. Wednesday, 7/11, on the 6400 block of North 11th Street. The woman was asleep on her coach when she awoke to find the man standing over her. She began to scream and he fled. He was caught on surveillance cameras trying to break into other properties in the area. He is described as a black or hispanic male, 18- 24 years-of-age, light to medium complexion, thin build, braided hair tied into a small bun on the back of the head, goatee with light mustache, wearing a t-shirt with a logo of a boxer and wording on the back, cargo shorts, and sneakers. He has tattoos on his right bicep and left forearm. 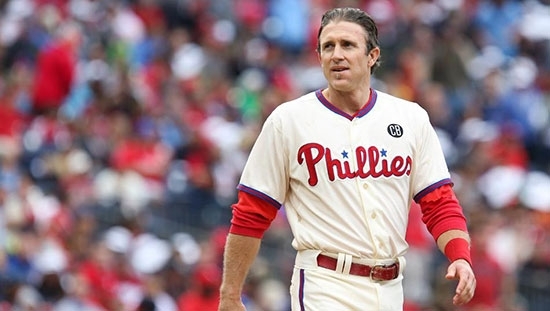 Former Philadelphia Phillies 2B Chase Utley plans to retire at end of the season. The 39-year-old current Los Angeles Dodger will announce at a press conference (6:15 ET on mlb.com). Utley was key member of '08 World Series Championship, 6 All-Stars, 4 Silver Sluggers. Chase Utley retiring form baseball.